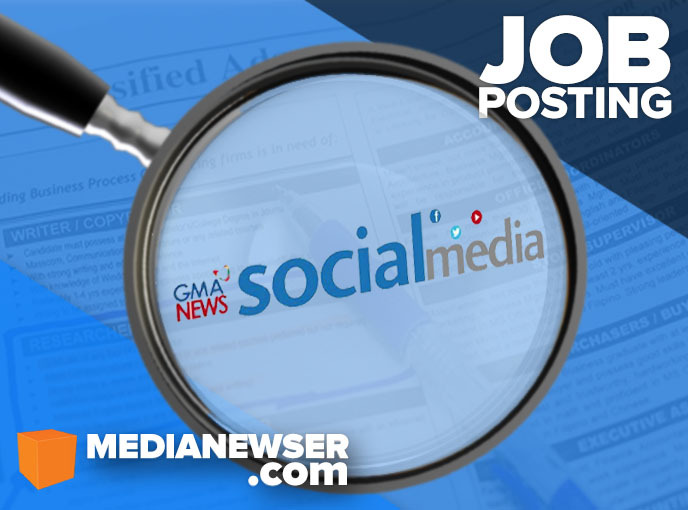 GMA News is currently in need of social media producers who can manage its social media properties. Applications outlining below qualifications and demonstrating how the applicants' experience and skills match the job requirements are due by April 30, 2016. Believes in "Think before you click"
Email your resume, one (1) writing sample in English, and one (1) writing sample in Filipino to Mr. Ederic Eder, GMA News social media manager, at epeder@gmanetwork.com. Please write the subject of your email as such: APPLICATION OF (YOUR NAME) FOR NEWS SOCIAL MEDIA PRODUCER. Please write your cover letter as text of the email. We will accept your applications until April 30, 2016.